what is this pomo nonsense? 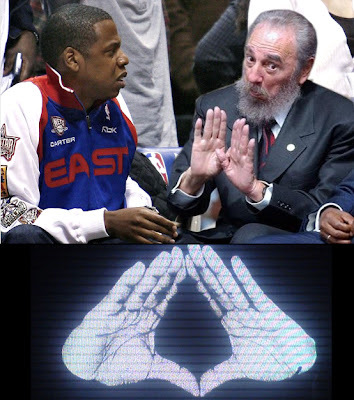 Jigga will rule habana on his own merits without the approval of the Castro brothers. What a rare combination, so I heard from an important magazine Fidel Castro want to release a Hip hop album, I don't know what to think about it because he's too old for that.